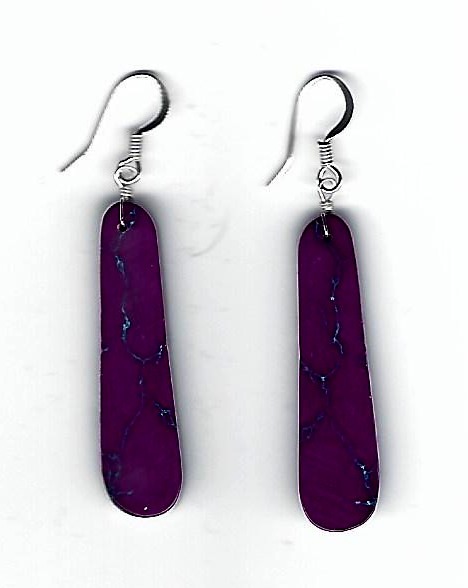 These turquoise slab earrings are dyed purple and are a little over 1 1/2″ long, not counting the earwires, and are 3/8″ wide at the bottom. There are beautiful veins of turquoise running throughout, which the picture doesn’t quite show. Native American made.